Take a look at www.gingermagic.com to see if Damian feels like a good fit for your event. There's lots of video footage there to whet your appetite. 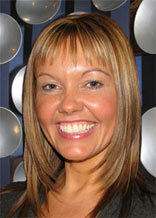 Female magician Kerry Scorah performs stunning magic at weddings, parties and corporate events throughout the UK. Equally at home in a formal, or more relaxed setting, female Kerry’s close-up sleight-of-hand performances mix fa bulous magic and comedy to leave audiences spellbound. Kerry has won praise from her peers and she has appeared at some of the world’s most prestigious venues. She is also one of only a few female members of the exclusive Magic Circle, and has had the distinguished Silver Star bestowed upon her. This popular magician will add sparkle and laughter to your event! Contact her now for a free quote. Having performed close-up magic for over 15 years, Gloucester-based professional magician Andi Gladwin has appeared on TV numerous times, was voted number one young close-up magician by the Magic Circle, and has performed in Las Vegas for a magic television special that has aired all over the world! Full time, professional magician - one of the few in the UK. Member of the prestigious Magic Circle. Featured magician on BBC 1, BBC 2, ITV and Channel 4 TV. Frequently featured in magic industry magazines and books. Available to perform magic at weddings, parties, banquets & more! 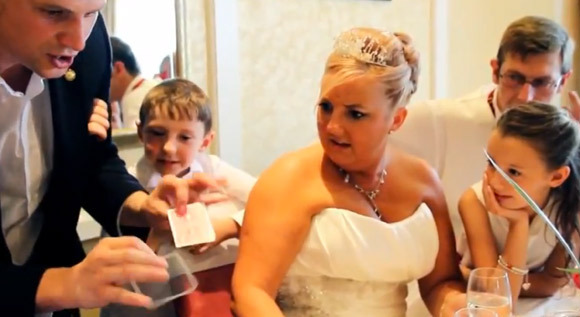 Andi's world-class close-up magic is the perfect icebreaker for any event. He's young, fresh and stays away from the typical rabbit in the hat clichés. Whether it's granddad and grandma, a celebrity, or the CEO of a major corporation, Andi will both amaze and entertain all of your guests. Visit the Andi Gladwin magician website for more info and photos! 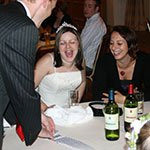 If you're looking for something a little different at your party, Jay will entertain your guests with his unique comedy magic show. A talented and professional magician, a member with the International Brotherhood of Magicians and all-round entertainer. Performing at an array of functions, including corporate events, weddings and cabaret shows, I am dedicated to delivering an enthusiastic and entertaining performance. Jay is a member of Equity and The Brotherhood of Magicians and Bristol Society of Magic and has full public liability insurance. For more information, call 07866692380. So close it must be real. Colin is an award winning close up magician. He performs magic with cards, coins, elastic bands and a variety of borrowed objects. This magic requires no stage, no tables just people willing to be entertained and amazed! Perfect for grown up birthday parties, corporate functions or any event where you want your guests to go home home with magical memories. A special package is available for weddings incorporating a show for the children, normally during the fascinating speeches that children love! And close up magic for the adults. Phil specialises in the art of Close-up Magic which he first became interested in in 1980. Since then he has received tuition from some of the world's most talented magicians including Paul Daniels, Geoffrey Durham and Wayne Dobson. He is currently the resident Magician at the Friar Tuck, Gloucester, where most Friday and Saturday evenings he can been found entertaining diners and residents. The Friar Tuck also provides the location for the very popular charity magic nights which Phil also organises. During the past twelve months over £1500 has been raised for the Guide Dog Association and Gloucester Children's Hospital. If you are looking for entertainment for your party, restaurant, business or charity event then look no further. Phil's main aim is to make people laugh and give them a night to remember; take a minute to look at the Photo Gallery on his website, these were taken during actual live performances and I think they speak for themselves. Dr Bob is a Member of the Magic Circle and Blue Ribbon Holder of the British Magical Society. He started magic when he was five. His specialities are Close-Up and Mentalism (Mind Reading) and he loves to perform for Weddings ,Adult Birthdays, Dinner Parties and a wide range of Private and Public functions. Contact Dr Bob for a mind blowing experience. Bobo has been entertaining children at all types of parties and functions for 25 years. His act is based on magic for children from Playgroup age upwards and he also does balloon modelling. A typical birthday package would last one hour. Contact Bobo the Magic Clown and learn more through his website above. I am a deaf magician, and president of the Society of World Deaf Magicians. Holder of World Deaf Merlin Stage Championship, and 2nd place World Deaf Comedy Championships. Brand new comedy show available called Doctor Deaf. I am always interested to meet any deaf or hard of hearing magicians. Fillipos shows includes: fun magic shows, discos, party games, action dancing, bubble parties, balloon modelling, close-up workshops and cowboy shows. They are all high-energy performances with lots of audience participation and interaction.